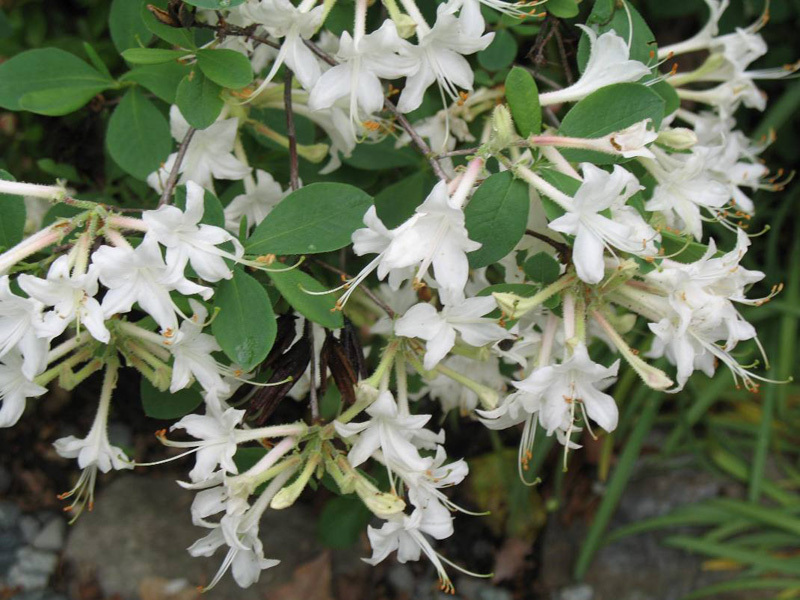 Comments: A thicket forming azalea native to the coastal plains of the United States. Multi-stemmed, upright, sparcely branched and generally about 4 feet in height. Fragrant flowers are genenerally white, but may be tinged with pink, pink or lilac in color. Blossoms appear just before or at same time as does the foliage. Easy to grow and propogate.